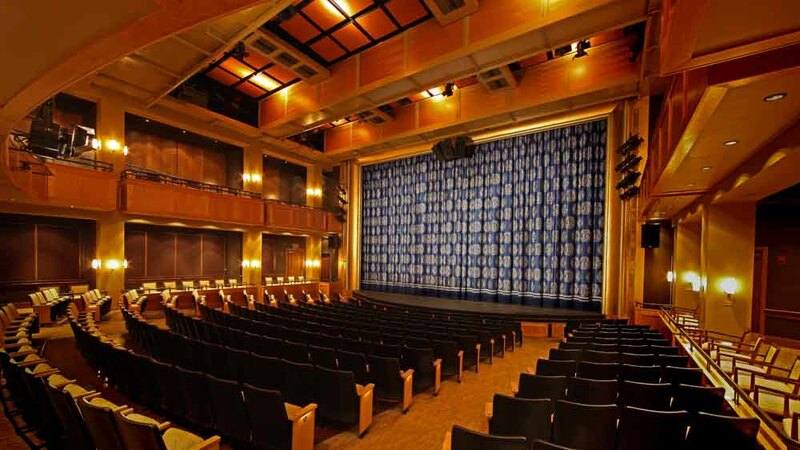 In March, 2008, Malvern Preparatory School opened an impressive proscenium theater in a multi-disciplinary art center for 2D and 3D art, photography, music and theater. They succeeded in building a handsome facility of regional significance. The 33,000 square foot arts center is planned to professional standards, partly so students have the experience of working in a professional level facility and partly to reduce the cost of hosting touring companies. 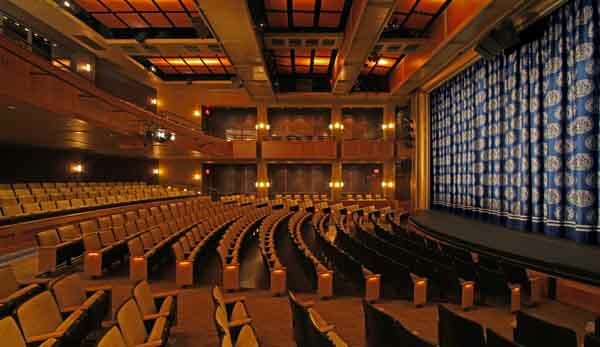 A 600-seat auditorium with balcony and side balconies. Proscenium stage with 33'-8" high trim, 30 single-purchase counterweight rigging sets, house curtain with the Malvern Preparatory School crest, masking draperies, scrim and cyclorama, 288 dimmers, full stage lighting "house plot", three catwalks, control room, orchestra pit and flexible orchestra pit filler platforms, resilient stage floor for dance and ballet, and backstage support facilities. Scene shop, which doubles as a shop for teaching sculpture. The Catwalks are noteworthy because coordination succeeded here. The catwalks integrate with the HVAC system to accommodate the large ducts that provide large volumes of slow-moving silent air without obstructing work on the catwalks. The catwalks integrate visually with the architecture of the room. The catwalks integrate with the acoustical premise of the room, which is to achieve large air volume and early reflections. The catwalks integrate with the stage lighting system to provide diverse and optimum lighting angles in an easy and safe work environment. The catwalks form an efficient "floor" of the building that has safe and easy access and egress, no unsafe stairs, ladders or isolated steps, and is brightly lit. 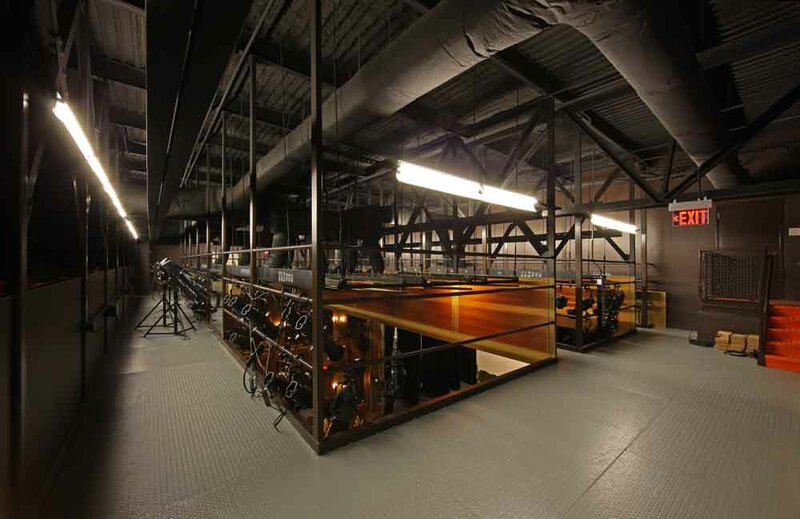 The clean, safe, and open catwalk level can be used for electrical department jobs such as fixture maintenance, cable sorting, and gel cutting. In this very frugal building an efficient catwalk system was achieved by applying a great deal of foresight and experience by the entire design team. Catwalk worklights are shielded, like index striplights, and always point away from the audience so they are never seen from below. 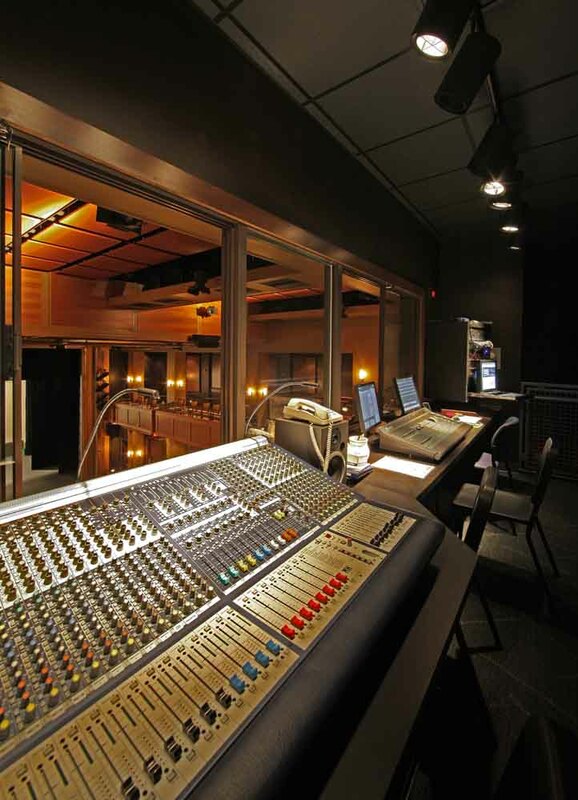 This level of integration, foresight, and efficiency is applied throughout the theater.